Greenwich Hospital is a unique Crown Charity. The Hospital provides charitable support including annuities, sheltered housing and education to serving and retired personnel of the Royal Navy and Royal Marines and their dependants. For more than a century, Babcock has been trusted to deliver bespoke, highly-skilled engineering services. Babcock help customers in the UK and around the world improve the capability, reliability and availability of their most critical assets within the four market sectors of Marine, Land, Aviation, and Nuclear, underpinned by a deep understanding of technology integration, unique infrastructure, and specialist training. With long-standing links to the Royal Navy's submarine service, BAE Systems Submarines is proud to support an endeavour which will pitch men against the might of the Atlantic. Our work to design, build, test, and commission the most advanced submarines ever operated by the RN means collaboration and team work is at the heart of all we do. TP Group is a professional services technology partner with a unique end-to-end approach. Working in partnership with stakeholders, including systems integrators, original equipment manufacturers (OEMs) and end-users to design, deliver and support high-integrity mission-critical systems and services. Cohort plc, together with three of its subsidiary companies MASS, MCL and SEA, is delighted to announce their support as Silver Sponsors for HMS Oardacious, the team of four Royal Navy Submariners that will take part in the world’s toughest rowing race, the Talisker Whisky Atlantic Challenge in December 2019. Andy Thomis, Chief Executive of the Cohort Group said: “The Cohort Group is immensely proud to be supporting HMS Oardacious for the Atlantic Challenge and I applaud the team’s bravery and determination to be the first boat to cross the finish line. We have all been struck by the team’s passion for the RNRMC and their aim to create a tangible legacy in mental health support. The Defence Simulation, Education & Training (DSET) was set up in 2016 to facilitate military to military engagement and to give militaries the opportunity to educate industry in a challenge lead approach. Their commitment to investing in people and high-quality research has enabled the modern BMT to continue from a heritage in pioneering maritime spirit: from designing the world's most advanced aircraft carrier to creating new measuring and monitoring systems for the offshore oil and gas industry. RB Safety Consultants Ltd is an independent engineering consultancy providing expert project and programme management, technical, logistics, risk, resilience and safety support to highly regulated industries, including the Defence sector and the civil nuclear power industry. They have a well regarded reputation for supporting, among other projects, the UK submarine programme through the full lifecycle as a result of utilising the expert nuclear skills of their 70 staff members, generated through a combined 1700 man-years experience in the Royal Navy. BySea coffee is owned by international maritime charity Sailors’ Society, with profits from sales going to the charity’s work supporting seafarers and their families in 30 countries around the world. The coffee range includes five caffeinated blends sustainably sourced from regions where Sailors’ Society works – India, Asia-Pacific, Africa, Brazil and the Americas – a decaffeinated coffee and its special edition HMS Victory coffee, launched in partnership with The National Museum of the Royal Navy to mark Sailors’ Society’s 200th anniversary. BySea is available in individual packs or by subscription at www.BySea.org. Kitworld are a Plymouth based sporting goods store who amongst many others support Armed Forces sports providing a range of kit design services, team kits and general sports equipment. MASS, acquired by Cohort plc in 2006, is a technology company with a 35-year heritage serving the defence and security markets in the UK and around the world. The company delivers trusted and tailored services and solutions that improve the security, efficiency and effectiveness of operations. MASS works in partnership with its customers and focuses on Electronic Warfare Operational Support, Cyber Security, Information Management, Support to Military Operations and Law Enforcement. Advanced Marine Innovation Technology Subsea Ltd. -- AMITS -- A company developing and building equipment for use underwater. This includes the HABETaS submarine escape equipment currently in use on the submarines of the Royal Netherlands Navy. The Weston Biltong Company is a fourth generation British farming family living in Cheshire but with hearts in South Africa. Their exciting & delicious range of products & flavors is entirely sourced Red Tractor Assured British Beef. The Weston Biltong Company are proud to be supporting the HMS Oardacious crew with a small mountain of Biltong for both our Atlantic crossing as well as our demanding training program. 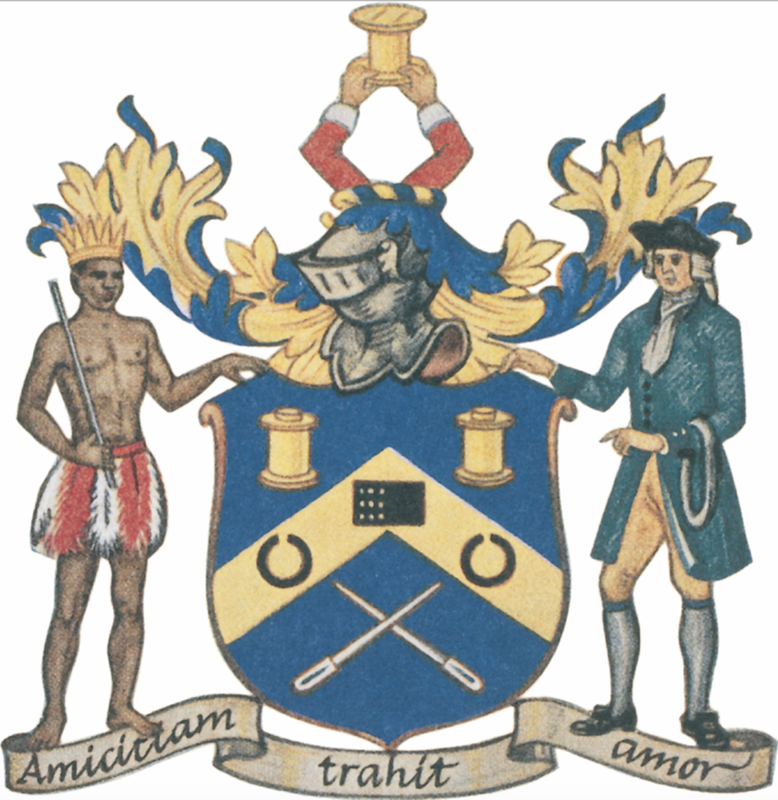 The Worshipful Company of Joiners and Ceilers, one of the medieval Trade Guilds of the City of London and proud affiliates of HMS Astute. Find out more at http://joinersandceilers.co.uk.